Me and my friend decided to go to Amsterdam for his birthday. I had never been there before and so had not really an idea of this place. But Amsterdam is a fun place! 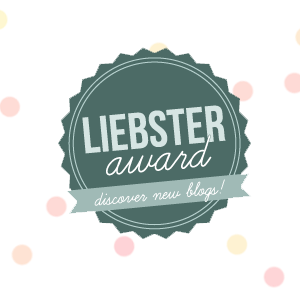 The Liebster Award: I’ve been nominated! What’s the Liebster Award? It’s an opportunity for travel bloggers to get to know other travel bloggers. My blog is not purely about travel, but since it is one of my passions, somehow I qualified. Big thanks to Kas Sommers for nominating me through his travel blog. When I first got the notification that I was nominated, I confess I was expecting something like this. But that would just be another thing to take care of. This is much more fun. I need to answer eleven questions which will let you, my dear Reader, get to know me a bit better. Then I will nominate some other up-and-coming bloggers for the award and set them questions to answer. You can find those at the bottom of this post. So let’s get into it. Horse Back Riding, Black Sand Beaches and Puffins – What a day! Today we went all the way down in the south to a little town called Vik. This places is famous for its black sand beaches and if you are lucky you can spot some puffins at the open bird sanctionary. When we arrived in Vik we were already greeted by the beautiful black beaches and as usual it was extremely windy therefore the waves were massive. There just three rocks raising in the air on which the water crashed and splashed up high.